Allows your child to eat whole foods without the risk of choking. Perfect for fruits and veggies; for children 10 months+; easy grip handle. 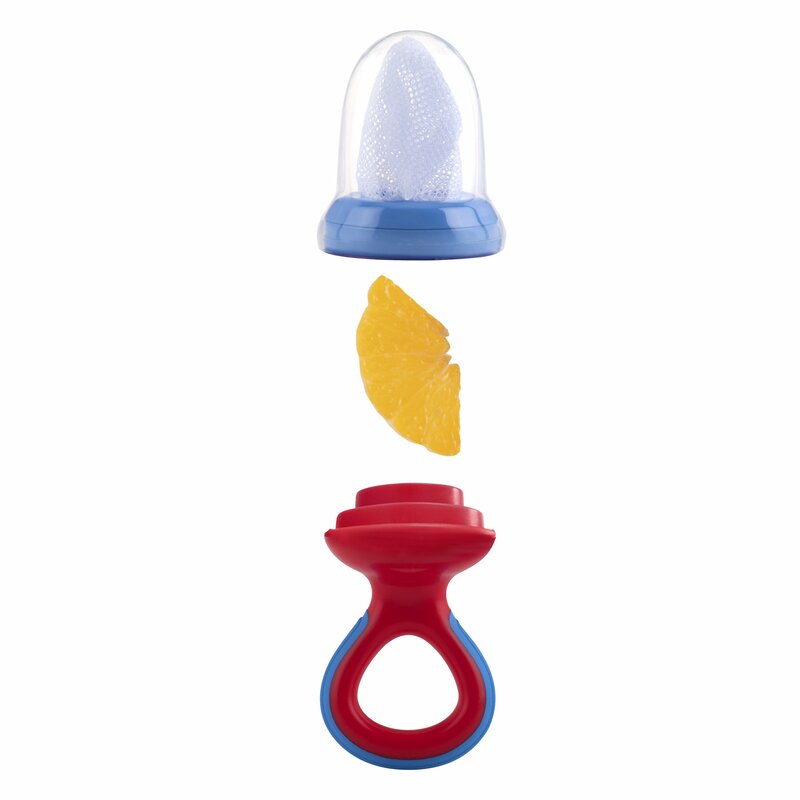 Fill with frozen treats to use as a teether; use to introduce soft solid foods. Squeeze and twist locking system; your child can safely use without risk of opening. Convenient and safe travel cover; BPA-free; durable.